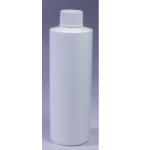 8 oz Plastic Cylinder, White PHCW824-CWh – Auberst, Inc.
PHCW824-EZWh: White EZ Open (Disc) Cap. Cap may be ribbed or smooth depending on availability. PHCW824-EZBk: Black EZ Open (Disc) Cap. Cap may be ribbed or smooth depending on availability. PHCW824-FWh: White Fine Mist Sprayer 4 1/2″ Dip Tube. PHCW824-FBk: Black Fine Mist Sprayer 5 1/4″ Dip Tube. PHCW824-MT: Natural Mini Trigger Sprayer 7 3/4″ Dip Tube. PHCW824-Y: Natural Yorker Cap/No Hole with a Red Tip attached.